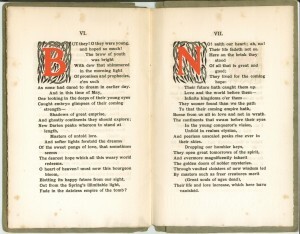 During Stanford University’s annual commencement on 25 May 1903, professor Raymond Macdonald Alden stood to read a poem. 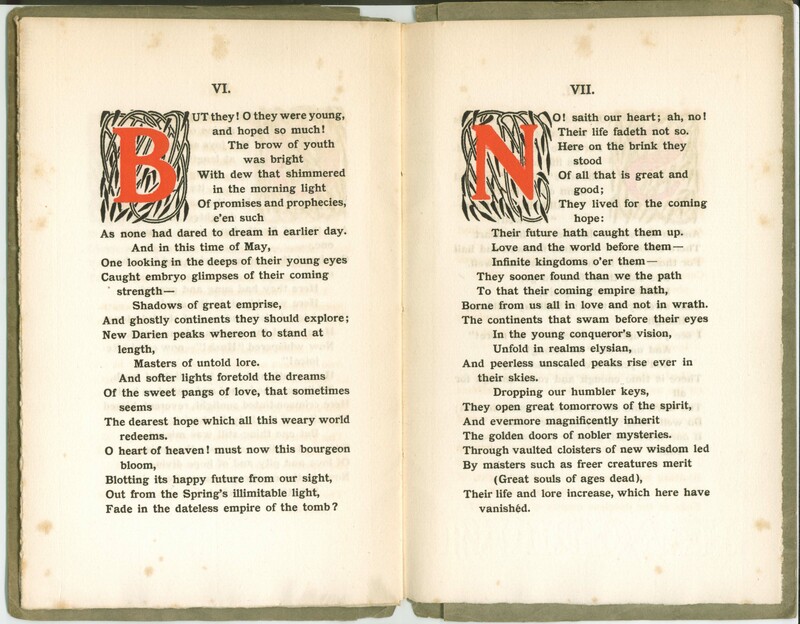 It was an ode dedicated to the members of the class of 1903 who had died that month. 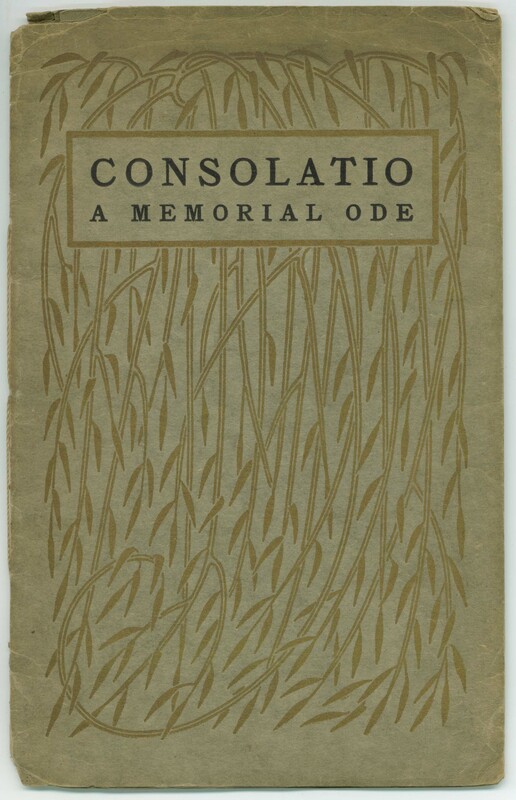 Consolatio is a sobering reminder of how, not so long ago, the sudden death of young men and women was an all too common event. It is easy to forget the roll of deadly diseases—measles, mumps, diphtheria, typhoid, typhus—that we have since largely eradicated. Alden (1873 – 1924) was born in New York and educated at the University of Pennsylvania. He held junior positions at Harvard and George Washington University before accepting the post of assistant professor of literature at Stanford in 1899. He later became chair of the English department at the University of Illinois. Alden also wrote a Christmas story Why the Chimes Rang (1909). Forgotten today, it was once quite popular. It tells the story of church bells which ring every Christmas Eve whenever someone places a special gift on the altar. 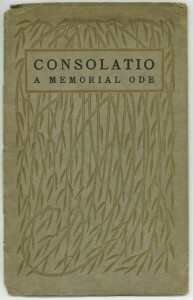 Consolatio has been digitized by the Internet Archive and is available online in a number of different formats.